BRC President, Hristo Grigorov, commented that the agreement and the future information and expertise exchange will be beneficial both for the Bulgarian Red Cross and for the CMDR COE. Colonel Roussinov noted that the Centre is the first international military organization in the country accredited by the North Atlantic Council, adding that it has been operational for three years now. “CMDR COE serves as a focal point for gathering and sharing of expertise in the field of crisis management and disaster response, both for NATO member states and for partner countries," he said. 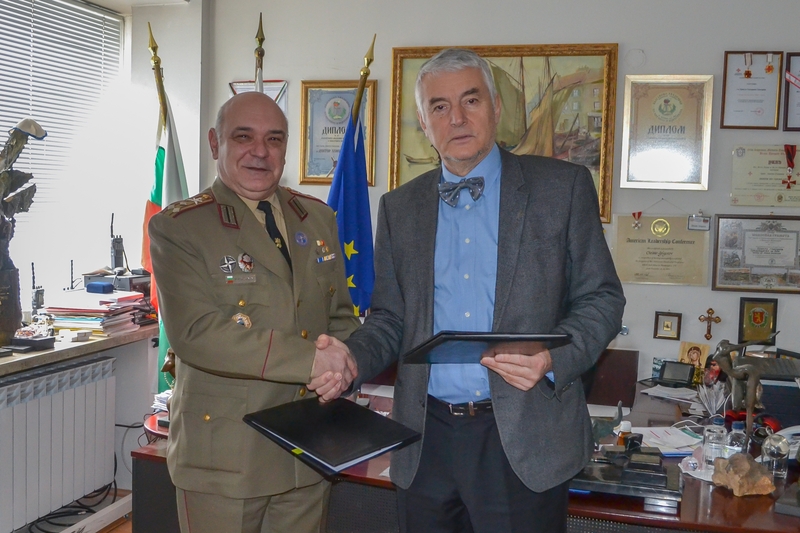 "I would like to express my deepest satisfaction that with today′s act of signing a cooperation agreement with the Bulgarian Red Cross, the largest humanitarian organization in Bulgaria, we do not start, but rather continue a long-established tradition of cooperation, exchange of experts, participation in joint events, BRC trainings, seminars and forums where we gain highly valuable expertise”, COL Roussinov concluded.